I got my first cold for the season, and it's put me on my arse. I have a massive headache, sore throat, and feel achy down to my bones. Anyhow, how are you doing? I've been working on clearing out my body wash drawer. I got down to 10 bottles, but then sabotaged myself by purchasing three Bath & Body Works Shower Gels from this year's Fall series. This post is a month late (notice a pattern here? ), but for Bath & Body works "scent documenting" purposes, here we go. August's shower gel was Coconut Lime Verbena. 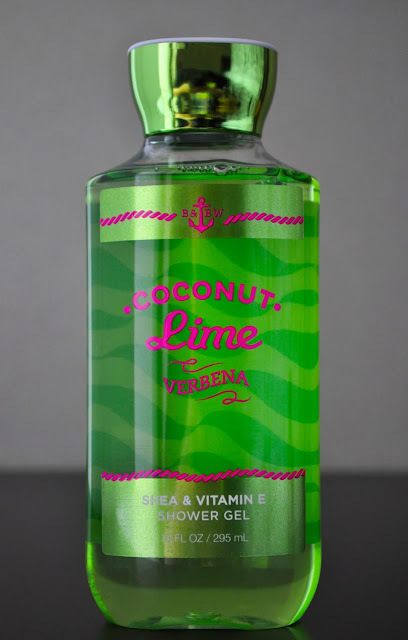 The blend of zest lime, verbena, and coconut was a refreshing scent combination for Summer. If it wasn't discontinued, I would repurchase this shower gel.